Most modern-day critical commentary seems to concentrate on the notion that this work by Sheckley in some ways presages Douglas Adams' Hitchhikers Trilogy -- though Adams, of course, was not aware of this work by Sheckley prior to the Trilogy's composition. It is a verity of modern science-fiction that this genre in its recent form deals in its essence not with "outer space" or the future, but rather with the present -- an insight we've had at least since Orwell found a title by flipping the terminal numerals of the year he spent producing 1984, and asseverated by multiple science fiction writers since, including, most recently, William Gibson. It is clear in reading Sheckley that he is writing largely about the his own times, the 1960s (the work was published in 1968). Somewhat oddly (perhaps) I found myself flashing to Saul Bellow's early novella, The Victim, which was written in 1947. Like the hero of DoM, the hero of The Victim seems to slip through some kind of cosmic crack while his wife is away. The break with routine leads him on a curious journey that causes him to question not only his identity, but what identity itself really is. Sheckley belongs, I believe, to a stratum of US novelists that found it very difficult to "write against". Updike, Roth and Bellow (to name a few) were placed in a position where they found it almost impossible to protest against a society that had become so amazingly prosperous. Which contrasted sharply with the experience of, say Steinbeck, and even Hemingway and Fitzgerald. 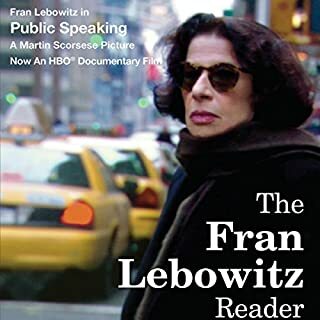 Yet these writers still felt this their duty as writers, and each found some way to say something meaningful about the problem of US society, expressing it, however, in the individual and personal lives of their created protagonists. Sheckley's work has echoes of Voltaire to it, but it is a Voltaire in which belief, or the issue of belief, seems to be absent -- not destroyed, lost, but for the nonce gone, leaving the kitchen door open and a vague promise to be back before dinner with the needed bottle of milk. There is something a little wearisome about the succession of not-quite-Earths that are visited -- the too-benevolent city, the ultra-commercial city, the crazed small town of movie-stars. It seems neither satire nor parody, but something parodic and satirical in search of a set of "real" objects that would be worthy of these comically distorted representations. Like the prize that eats itself (yes, yes, perhaps a parodic description of modern market-economy capitalism) the work subsists on something of its own substance, and while every novel must borrow a bit of its present from the ascribed future to come, in this instance the giving back one expects never arrives. Adams, by contrast, was writing a decade later (though he was several decades younger than Sheckley) in what was soon to become Thatcher's Britain. One can think of the "book" -- the Guide itself -- as something like a kind of Britannica gone slightly mad. It combines a simple acceptance of things as they are with a kind of streetwise smarts. It produces a response that the hero, Arthur Dent, is incapable of producing himself. Arthur Dent was neither some grind in the government or business bureaucracy, nor was he a "flower child" of the sixties. He was really a young man raised in the decencies of 1950s Britain, utterly lost in a world where the cultural basis of Britain was changing. (It's worth noting in passing that, born in 1952, Adams would have been two when postwar food rationing in Britain finally ended.) The destruction of the Earth, which sent Dent wandering forlornly for years without so much as a decent cup of tea, accompanied by no less than a man named for the popular 1950s motor the Ford Prefect, paralleled the destruction of the established world the public school/Oxbridge educated Adams had expected to enter. In that modern world, writers either made a lot of money or had to move back in with their mothers (as Adams did). In the previous British cultural tradition, most writers were slowly starved to death over a series of decades, but they worked and were published. What Adams really captured beautifully was the sense of double-parody that makes up the modern world. Dent is an object of fun, but he also makes fun successfully of absurdities that surround him. He doesn't "buy in", which is both his triumph and his ruin. Not that Shekley's work is poor -- it isn't. It's polished and poised. But Shekley wrote better things than this, and the chance associations between this work and a later, better effort in the same area, should not elevate what is worthy, but not so well-developed. As for Mr Hodgman's reading of the work, I feel quite divided. His skill is, indeed, extraordinary. There is a great deal of work that has gone into this production. But it does seem to me that there is something to the reading of a book that should go beyond performance. I'm not sure that that is present in this production. It might have been better had it been a little less extraordinary, and paid more attention to the insolvable difficulties than the areas where it was possible to excel. There are absolutely several laugh-out-loud moments in this book. 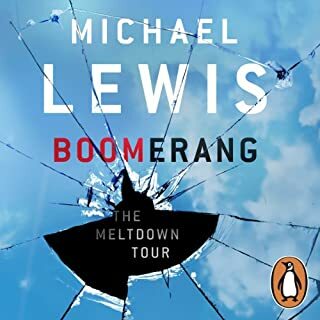 The best part is, without doubt, Michael Lewis's (ML) description of Iceland and its travails as the "investment banking nation". When he describes the difficulties of Alcoa, engaged in opening an Aluminium smelting plant in Iceland, first having to certify that the development site is not inhabited by "the hidden people" (aka Elves) -- it is indescribable. But underlying this is ML's usual depth and curiosity. His description of how Iceland developed its fishing industry into a vast money-making enterprise is succinct and thought-provoking. It is ML's ability to be acerbic, but not nasty that is really at the core of his talent. The Icelanders acted like amazing idiots, seeing themselves as being somehow amazingly talented and capable, when in fact they were more like eleven year-olds given the keys to Daddy's Cadillac. Yet at the end of his tale-telling, one feels both sympathy for the Icelanders, and a slightly rueful sense that maybe we have all been Icelanders a little bit this past decade. Then you get to the end of the book, and things take a bit of a nose-dive. ML is quite weak when he comes to ascribing causes to what happened in the GFC. His line throughout the book was that the GFC resulted from people being given a great deal of money that they could spend "with nobody looking". That doesn't ring true to me. And in the final section of the book, where ML takes up theories that the behaviour was triggered by our "lizard brain" and so forth ... well, really. I think there are better analyses than that. Reading any biography, or just listening to an author in conversation quickly reveals the complexities of recalled and reshaped experience. Hearing Allen Ginsberg read Jack Kerouac will take you back in an instant and real way to those times, and the relationship between the two men. 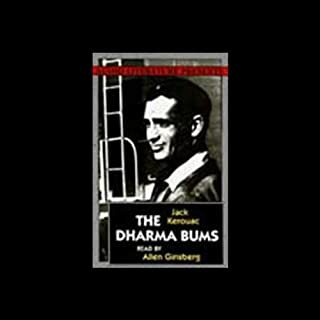 Your own version of The Dharma Bums will likely be different, just as Jack's own version will be different from your own. But it is also likely that your sense of your own version, and your imagined sense of what Jack's version was will be enhanced by hearing Allen's. The crisis that followed the collapse of Lehman Brothers marked the fourth systemic transformation of capitalism since the late 18th century. Capitalism was not destroyed by the crisis, but it was irrevocably changed. 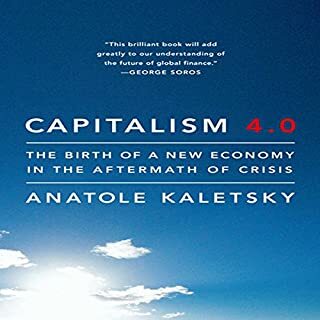 This provocative audiobook shows how the forces that precipitated the financial meltdown of 2007-2009 are now creating a new and stronger version of the global capitalist system. This system will continue to be led and shaped by the U.S. if its businesses and politicians play their cards well. So Will Hutton has written this brilliant book "Them and Us" essentially about post-2008 Britain, and how things could be changed to create a fairer society. He appeared with Kaletsky on an "intelligence Squared" debate about capitalism. This piqued my interest in Kalentsky. It's not a good book. His thesis is that there has been three previous iterations of capitalism, all of them valid, and we are now on to our fourth. It just doesn't hold up to even a casual analysis. 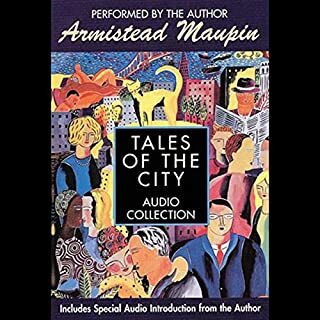 Armistead Maupin's Tales of the City has blazed a singular trail through popular culture, from a groundbreaking newspaper serial to a classic novel, to a television event that entranced millions around the world. The first of six novels about the denizens of the mythic apartment house at 28 Barbary Lane, Tales is both a wry comedy of manners and a deeply involving portrait of a vanished era. I lived in San Francisco at the end of the time when this novel was serialized in The Chronicle newspaper. I remember reading it with some puzzlement at first, and later with a sense of enjoyment. I had an apartment that looked into Trader Vic's parking lot, and I would spend Friday evenings sitting on the fire escape watching the comings and goings: Tales of the City reminds me of those moments. However, absent that social scene, that society, that oddly innocent moment, I'm not sure the stories really stand up well today. At times it seems almost elegiac, which was not the original intent. Something unfortunate seems to have happened to the dreams, the beliefs, the energy we had back then, which is not the novel's fault, yet it somehow affects how one thinks of it today. The narration is all right, not affected by overdone "voices", but it isn't wonderful either. I've probably read this novel in print -- oh, I don't know, maybe 20 times. It remains my favourite LeCarre. There are just these little, subtle touches, like referring to the "traditional fake Rosewood veneer" of the CIA ("cousins") offices that are at once sophisticated, witty and exact. Michael Jayston -- who is British -- makes an OK fist of the first part, except that he "does" voices, and his efforts for women make them sound vague and bit daffy, especially Phoebe -- Craw's "little ship". 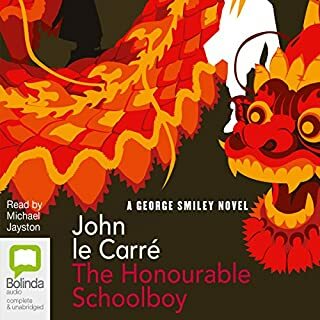 But in the second part of the recording there is just a superb rendition of the scene between Westerby and Charlie Marshal which makes you fortive Mr Jayston the flaws in the rest of his reading. Murakami - what else can you say? 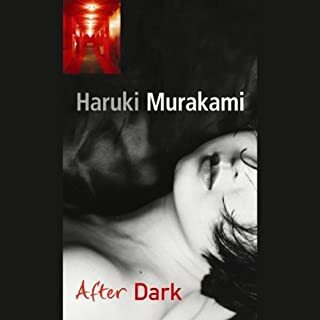 Mentally paired for me with "Hard-Boiled Wonderland" as the two are published together in print, this is not Murakami's best novel (and some of his short stories are amazing) but it is quite good. The narrator is OK, British, but she tries just a little too hard in doing the voices at times, so that it gets annoying. Having trouble finding a book? Try this one. Having subscribed to Audible in a passing fit of madness, I discovered suddenly that the credits I had been accruing only added up to 6 - Audible permits no more. So frantically I began searching for something I could bear to listen to. 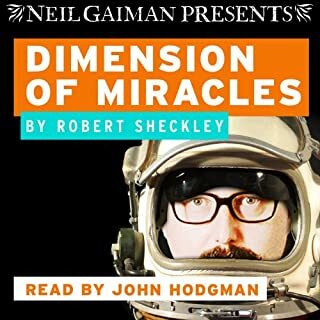 Most of the Audible narrative performance are simply awful -- to me, I'm sure others enjoy the overly-dramatic renderings. If you agree with me, read on. Finally, I found this book. I've read HtC probably half a dozen times, but not for the past six years or so. 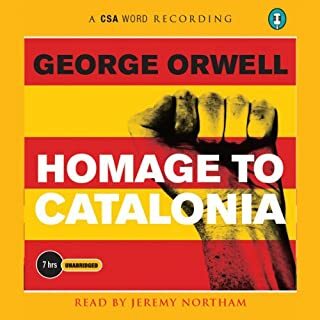 The narrator, Mr Northam, is British, and has a voice at once educated but with just a bit of the Counties in it somewhere, and he underplays his reading, which fits nicely with Orwell's "let me tell you exactly what it is like to be shot in the neck by a rifle" narrative. More than that, though, is the character of the book itself. It is itself a first-person, factual narrative, and so lends itself well to this form. It helps if you're a bit left politically, too. cheers.